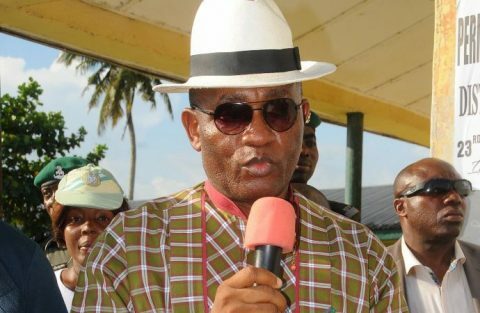 (AFRICAN EXAMINER) – Deputy Governor of Bayelsa State, Rear Admiral Gboribiogha John Jonah (rtd) says the restoration government will continue to work with traditional institutions to promote peace in all communities in the state. 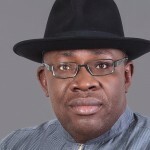 He stated this on Saturday at the coronation of His Royal Highness, Jacob Igbigi as the Obanema of Emeyal 2 in Ogbia local government area of the state‎. According to him, traditional institutions can be easily assessed by the people because of their closeness to them which makes it easier to‎ initiate peace at the grassroot. 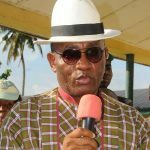 The Deputy Governor pointed out that in the last six years the present administration of Governor Henry Seriake Dickson has worked to achieve sustained peace which in turn has brought about ‎development across the state. While congratulating the new king, the Deputy Governor charged him to lead his people with the fear of God and avoid anything that will bring about hate and division but unity and development. Jonah also‎ called on the people of Emeyal 2 to support their new monarch and work with him to achieve his objectives and the overall desire of the community. “I congratulate you for your coronation and I am glad that the process that led to your emergence was peaceful. I pray that the same peace is sustained during your reign. I want to also call on all sons and daughters of this great community to work closely with your new king” he said. On his part, Chairman of the occasion and the State Commissioner for Information and Orientation, Daniel Iworiso-Markson assured the new king that the restoration government will work closely with him to bring more development to Emeyal 2. 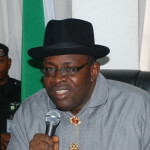 He said the emergence of the new Obanema of Emeyal 2 is a new dawn for the community and also congratulated the people for the choice they unanimously made while calling on leaders and stakeholders to support him to excel‎. The Obanema of Emeyal 2, His Royal Highness, Jacob Igbigi thanked the restoration government for identifying with him and promised to take the community to greater heights. Highlights of the event was the presentation of staff of office to the king by the Commissioner for Chieftancy and ‎Community Development, Chief Saviour Ibegi and traditional dances.